Boston Criminal Defense Attorney Steven J. Topazio provides experienced legal representation on behalf of adults and juveniles facing criminal charges, including traffic offenses like driving without a valid license, driving on a suspended license, speeding or reckless driving. He handles a wide range of traffic charges on behalf of clients throughout Massachusetts. If you have been charged with operating without a license or another traffic violation, schedule a free confidential consultation to see how we can help. A conviction for driving without a license could prevent you from obtaining a license in the future and subject you to loss of driving privileges, fines and a possible prison sentence. Massachusetts General Laws, Chapter 90, Section 10, which pertains to operating a motor vehicle without license, provides that no person under sixteen years of age shall operate a motor vehicle upon any way, unless licensed by the registrar. There are several exceptions to this law. E) is a member of the armed forces of the United States returning from active duty outside the United States, and has in his possession a license to operate motor vehicles issued by said armed forces in a foreign country. F) The motor vehicle of a nonresident may be operated on the ways of the commonwealth if the nonresident operator is duly licensed under the laws of the state or country where such vehicle is registered;. G) a nonresident who holds a license under the laws of the state or country in which he resides may operate any motor vehicle of a type which he is licensed to operate under said license, duly registered in this commonwealth or in any state or country; provided, that it is determined by the registrar, his state or country grants substantially similar privileges to residents of this commonwealth. If you are convicted of this crime you could face a $500 fine and up to 10 days in jail for a first offense. Second and subsequent offenses are punishable by 60 days to 1 year in jail. If you have been issued a traffic citation for driving without a license, operating after suspension or another traffic violation, you may be inclined to handle the matter by yourself, thinking it’s cheaper and easier to just plead guilty, pay the fine and move forward with your life. Before you make a decision that could adversely affect your car insurance and driving privileges, contact us and speak with an attorney who can advise you of your rights. Boston Criminal Defense Attorney Topazio is prepared to investigate every aspect of the allegations and circumstances of your case, in order to identify the right strategy and build an aggressive defense on your behalf. Contact him to schedule a free confidential consultation. The client, a 26 year old Boston College Graduate School student, with a New York driver’s license, received a traffic ticket in Boston indicating that the police were applying for a criminal complaint against him for operating after suspension in Massachusetts, hired Boston Traffic Ticket Attorney Steven J. Topazio to represent him. Attorney Topazio instructed his client to request a Magistrate Hearing, by checking the box on the back of the ticket and to deliver the ticket to the court within four days of receipt of the ticket. Attorney Topazio obtained documentation that his client’s New York driver’s license was active, but that his right to operate a motor vehicle in Massachusetts was suspended due to a previously unpaid Massachusetts traffic ticket. Today, Attorney Topazio presented evidence that the Notice to suspend his client’s right to operate in Massachusetts went to an old address and that his client never got notice of the intended actions from the Massachusetts RMV. 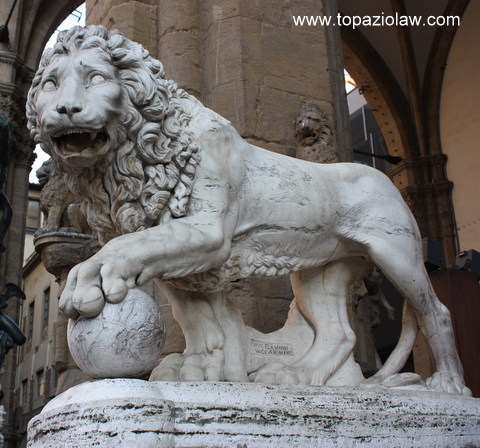 After presenting documentation that his client was back in full compliance with the law, and that all fines and fees were paid, Attorney Topazio was able to persuade the Magistrate to dismiss all charges. Result:Case dismissed on court costs. The client was arrested after being suspected of being involved in a low lever drug transaction, was represented by Boston Criminal Attorney Steven J. Topazio. According to the Police Report, the police observed two male parties hanging around a building when moments later, the defendant pulled up in his motor vehicle and the two male parties began to hang into the motor vehicle with their arms inside the motor vehicle. When one male entered the motor vehicle; the middle console light was turned on as if both parties were looking at something. After a few moments, the party who entered the motor vehicle exited it and was stopped by police who discovered he was in possession of a syringe. The defendant’s motor vehicle was stopped and the defendant indicated when asked that he did not have a driver’s license, and was arested. The defendant was arrested and following a search of the motor vehicle, suboxone was found in the center console. Attorney Topazio filed a Motion to Suppress alleging the search of the defendant and his motor vehicle was illegal and without consent and that all evidence obtained by the police was the fruit of this wrongful search. Despite recommending committed time, today Attorney Topazio convinced the Assistant District Attorney to dismiss the possession offense and to reduce operating after license suspension subsequent offense to a first offense, and fining his client $500.00 in lieu of incarceration, instead of arguing the motion to suppress, and the Judge agreed. Result: Possession of suboxone offense dismissed and defendant avoids jail time after agreeing to pay a fine to a reduced charge of operating after suspension first offense. The defendant, a resident of Connecticut, had his right to operate a motor vehicle in Massachusetts suspended after receiving moving violations out of state and missing a scheduled court hearing in Concord District Court, hired Attorney Topazio. Attorney discovered several irregularities in the Registry of Motor Vehicles records on his client and corrected same, including purging his client of the court default in the Concord District Court. Today after hearing Attorney Topazio convinced the RMV to reinstate his client’s driving privileges, and the RMV agreed. The defendant was arrested when a Registry of Motor Vehicle check of his registration conducted by the police indicated that his license was suspended. A search of his motor vehicle revealed a bottle cap with residue that the arresting officer suspected to be heroin residue. The defendant hired Attorney Topazio to represent him. Attorney Topazio pushed his client’s case to trial and relying on the recent case of Melendez-Diaz v. Massachusetts, 129 S. Ct. 2527 (2009), Attorney Topazio on August 31, 2009 was effective in getting the case against his client dismissed at trial because the Commonwealth could not prove the residue found in the bottle cap in the defendant’s motor vehicle was a controlled substance without the testimony of a chemist. Prior to Melendez-Diaz, it was standard practice in drug cases for the Commonwealth to rely only upon a certified copy of a drug certificate to prove that a substance was a controlled substance. Melendez-Diaz is a Supreme Court decision which now requires that a chemist must testify in cases where a drug certificate is to be introduced at trial. In the U.S. Supreme Court’s landmark Melendez-Diaz v. Massachusetts ruling on June 25, 2009, Justice Antonin Scalia, writing for a 5-4 majority, held that the introduction of a drug certificate without the testimony of a chemist violated the defendant’s confrontation rights under the Sixth Amendment. Despite the dismissal, the Commonwealth brought new charges against his client, reactivating the dismissed case and seeking incarceration upon a conviction. Today, in lieu of trying the case for fear of a conviction should the Commonwealth have a Chemist testify and certain incarceration, Attorney Topazio persuaded the court to give his client probation with level III OCC upon a change of plea, and the court agreed. Community Corrections Centers are community based, intensive supervision sites, which deliver bundled sanctions and services, including treatment and education, to high risk offenders via Intermediate Sanction Levels. Intermediate Sanction Level III is an intense level of community-based, criminal justice supervision. Sanctions and services required at this level of supervision represent a daily imposition upon the liberty of the offender. Level III participants are required to report to the community corrections center for one to four hours per day, three to five days per week. Offenders placed at Intermediate Sanction Level III may be monitored via electronic device. Level III also requires random drug and alcohol testing, and attendance at one four hour community service shift per week. The defendant, who resides in Pittsburg, Pennsylvania, was visiting Massachusetts for a convention and received a criminal citation after getting lost at Logan International Airport trying to find the Ted Williams Tunnel, hired Attorney Topazio after receiving a summons to appear in court. The client informed Attorney Topazio that due to extenuating circumstances, she preferred not to return to Massachusetts and wanted him to waive her presence in court and to resolve her case in her absence. According to the Criminal Rules of Procedure, Rule 7(b), Attorney Topazio filed his appearance in court, advanced his client’s case and waived her appearance at her arraignment. Attorney Topazio represented to the court that he had his client’s authority to resolve her case in her absence, provided the court would allow; which it did. After conferencing the case with the District Attorney and the judge, Attorney Topazio caused his client to be found not responsible on both the civil infractions and represented to court, that if the remaining criminal charge were dismissed, that his client would pay $150.00 in court costs in lieu of returning to Massachusetts to fight the charge; and the court agreed. Today, Attorney Topazio convinced the court, with the District Attorney’s consent, to give his client until December 30, 2009 to pay $150.00 before dismissing the case. The defendant was arrested when a Registry of Motor Vehicle check of his registration conducted by the police indicated that his license was suspended. A search of his motor vehicle revealed a bottle cap with residue that the arresting officer suspected to be heroin residue. The defendant hired Attorney Topazio to represent him. Attorney Topazio pushed his client’s case to trial. Today, relying on the recent case of Melendez-Diaz v. Massachusetts, 129 S. Ct. 2527 (2009), Attorney Topazio was effective in getting the case against his client dismissed at trial because the Commonwealth could not prove the residue found in the bottle cap in the defendant’s motor vehicle was a controlled substance without the testimony of a chemist. Prior to Melendez-Diaz, it was standard practice in drug cases for the Commonwealth to rely only upon a certified copy of a drug certificate to prove that a substance was a controlled substance. Melendez-Diaz is a Supreme Court decision which now requires that a chemist must testify in cases where a drug certificate is to be introduced at trial. In the U.S. Supreme Court’s landmark Melendez-Diaz v. Massachusetts ruling on June 25, 2009, Justice Antonin Scalia, writing for a 5-4 majority, held that the introduction of a drug certificate without the testimony of a chemist violated the defendant’s confrontation rights under the Sixth Amendment. Attorney Topazio reliance on this decision was effective in getting his client’s case dismissed. The defendant was arrested by State Police when observed driving around a rotary 5-7 times while on a cell phone at a high rate of speed, without stopping or using caution in a dangerous manner. A check with the Registry of Motor Vehicles indicated the defendant’s license was suspended. The defendant hired Attorney Topazio. Attorney Topazio reviewed his client’s driving record and learned that any further violation would result in a further suspension of his client’s license. Attorney Topazio presented to the District Attorney that the reason for his client’s license being suspended was as the result of failing to pay a reinstatement fee which was now paid and the reason for driving around a rotary several times was because his client was lost and he was calling for directions. Today, Attorney Topazio convinced the District Attorney and the Court to dismiss the criminal charge and to find his client not responsible on the civil violation. Result: Case dismissed and Defendant avoids a potential suspension of his driving privileges.